Get Paid to Speak in 30 Days or Less! Register now. Join us for this 12 class course with International Speaker and Speaker's Coach Orly Amor. During these 12 classes you will learn skills and tactics that will allow you to become the powerhouse speaker you aim to be, get booked, get paid top dollar. keep them coming back to book you again, and getting referrals. 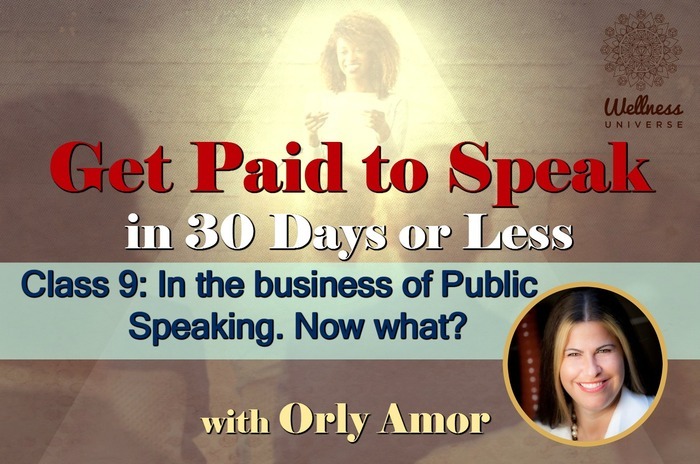 Speaking takes more than telling a great story and Orly shares success tools with you that will have you Getting Paid to Speak in 30 Days or Less.